You’re listening to REACHMD. 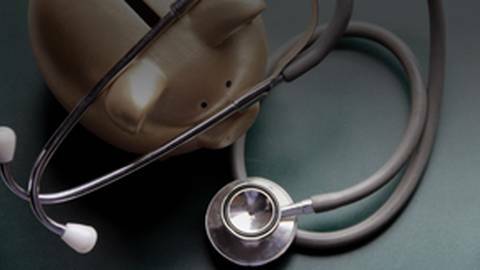 Welcome to our feature on “Escape the Status Trap: ImproveYour Finances,” brought to you by TGS Financial Advisors, the wealth management firm that is committed to improving lifetime financial outcomes for physicians and their families. Here is your host, Dr. John Russell. Today we're going to talk about how the high prestige of the medical profession can lead, indirectly, to bad financial outcomes and what to do about it. Joining me today is Jim Hemphill. Jim has been a Certified Financial Planner professional since 1982. He received a Certified Investment Management Analyst designation after study at the Wharton School of Business. He is cofounder of TGS Financial Advisors and also serves the firm as Managing Director and Chief Investment Strategist. Jim is a graduate of Swarthmore College, and he specializes in complex wealth transfer and retirement transition strategies. So, starting off today we're going to talk about the concept of Status Trap, the terminology that your company uses for talking about some of the perils that physicians get into. Could you elaborate a little on this? Yes, so the concept of status is foundational to social science. And it simply means where are you in the hierarchy, where are you in the pecking order? The reality is we are hardwired to pay attention to where we are in the status hierarchy. I like to say we're chimpanzees. We're not squirrels. We're hardwired to know, how do we fit in, what's our positioning, and not to put away acorns for the winter. We're hardwired toward status and not toward wealth accumulation. So, how do you apply this concept of status to physicians? There are multiple kinds of status. One kind of status is socioeconomic status, which is what car do you drive, what house do you live in? There's another kind of status, which is reputational status. And so if we think about reputational status, it means how much do people trust and respect you? And it's a truism that our trust in institutions as Americans has fallen apart, so our trust in government, our trust in Congress. And if we look around and say, “Who do Americans trust?” the top three professions are all healthcare professions. People still like and trust and respect their doctors, so that’s the good news, but the bad news is that if you are high on one status hierarchy, you’re going to be hardwired to want to dominate other status hierarchies, and the dominant status hierarchy in the US is socioeconomic status. So, how as physicians can we work on disengaging that a little bit and not kind of fall into that trap of status with regards to stuff? So, the first thing is simply to understand that it isn't a character defect. It is the dominant signaling. Seventy-two percent of GDP is consumer spending, so the dominant signaling that we all are subjected to is signaling about socioeconomic status. And so, simply having that awareness, understanding that it is not a character defect to pay attention to that stuff is important. And then the next thing is to start looking around for peers, for people you respect who have stepped aside from that. So, you don't necessarily have to have the shiniest, newest of anything to be truly happy. Yes, another story to bring it back to physicians, one of our most successful clients is in his early 60s. He is a specialist physician, highly compensated, regional reputation. He is the mentor to a generation of younger physicians. His two kids are physicians. He drives a 12-year-old Honda Civic. That's what he drives to the hospital. And he is closing in on eight figures of net worth. “I need to be close to transportation. I need to be close to my kid’s school. I need to be near the restaurants, the culture.” And then you just step all of those things up. And especially in a low interest rate environment, all of a sudden I’ve gone from my intention of a $700,000 house to a $1.6 million house, and then you’re kind of locked in because everything else goes along with that. And downsizing psychologically is devastating. So, just start off and just say, “I’m going to buy less house than any of my peers with a similar income.” It’s a deliberate choice. It’s an intentional choice. It’s not the BMW versus Honda metric. It’s the “am I going to be able to walk away” metric. I'm not necessarily going to have to be doing this when I'm 70. Maybe I'm going to be able to afford to send my kids off to college and some of these things that aren't as shiny. And that's a really good point, because if you think about it, so what's so bad about status? Why should I even care, as long as my checkbook is balanced, as long as I'm paying my bills? And the reason you should care is all of us, physicians like you, people who work with docs, all of us know, not just one, but a whole cohort of physicians in their 50s, in their 60s, in some cases even into their 70s, who are practicing medicine, taking call, not because they want to. But because they have to. So, that's the other side of status. Ending up in a place where you are not in control of your own choices because you basically responded to somebody else's signals earlier on. If you’re just tuning in, you’re listening to Bending the curve: Improving Financial Outcomes for Physicians. Brought to you by TGS Financial Advisors. I’m your host Dr. John Russell and I’m joined today by Jim Hemphill and we’re talking about the ways that human nature and societal expectations can influence your financial health. What would be some of the advice you'd give to some of the younger physicians who work with me, maybe not buying the biggest house to start with, but what would be some of the other things you would recommend? If you're 30 years old and starting out, make sure you associate yourselves with a set of metrics where the measure of who is the best is who is getting the furthest ahead economically the quickest. Put yourself in that peer group. You will certainly find other physicians who are doing the same thing. Hang out with those guys. So, when my parents told me about choosing my friends wisely... they were pretty smart. And the other part is just be very, very aware that you're a physician and there are loads of people in our society, in our economy, who can get paid really well when you are responding to the status cues. And I think a lot of this is this delayed gratification. People have spent so much time in school, and suddenly, I deserve this; I need to make up for some of that lost time. Yes. And how can you say to that young physician age 32 or the physician age 36 who has gone through the cardiothoracic surgery residency… making $59,000 a year, working 60 hours a week, and all of a sudden she's making or he's making $600,000, $700,000 a year, how do you say, “You can’t have the stuff?” I mean, you can’t. But when you're thinking about those choices, you think about I'm not negotiating with my financial advisor, I'm not negotiating with my BMW salesman or my real estate broker. They all want me to spend more money. Right. You're really negotiating with yourself. You're negotiating with yourself in 20 or 30 years, and so you want to have the same empathy and compassion for your future self that you would have for a patient. Adopt a set of metrics that are responsive to your future financial success, because once you have that set of metrics, you are going to want to excel. That's hardwired too. And maybe status is being able to walk away from my career when I'm still really good at my career but I'm tired. Maybe being able to provide college education for my kids, maybe being able to take nice trips and things like that might be a better metric than something shiny and new. So we have physicians who have done the right thing from day one, they have accumulated significant wealth, and there's a point where we just run the numbers and say, “Look how much you’ve saved. You have official permission from your financial advisor to stop taking call.” And if you think about it maybe that means that I enjoy my practice of medicine more. Maybe I can practice a couple more years because I'm enjoying it. Maybe I can practice a couple more years, right, because I'm not burning myself out. So, that's a wonderful benefit too, just choosing that alternate metric. So, I work with young physicians on a routine basis, so if I was giving them advice when they sit down with their financial advisor, that should probably be something in the beginning. What do you want 50 to look like? What do you want 60 to look like? What do you want 70 to look like? Yes, what do you want it to look like? And then understand -- The signal is your rate of savings in relation to your income. So, make sure that you know what that number is. What is the number that I need to get where I want to be, and how am I tracking it? You want objective tracking. You want to have the data. Find an advisor who will give you a robust, believable, understandable -- which means graphical -- metric. So, Jim, in summing up our conversation today, what would be the tips you would give physicians about the Status Trap? So, the big thing that I would say is as a doctor, you are a member of one of the very few professions that Americans still believe in and trust, and you have that whether or not you drive a BMW 7 Series or wear a Brioni suit, so just understand the respect that the society has for you and then step away from some of the economic status traps and thank you for what you do. Lots of other people get paid really well when physicians respond to status cues, but the result can be doctors who fail to accumulate enough wealth to retire. This interview will discuss the economic rewards of pushing back against society’s status expectations.